ETNs are not mutual funds! One of the more recent trends in investing are securities called Exchange-Traded Notes or ETNs. These new investment securities can be smart investing tools but it the first thing for investors to understand is that ETNs are not the same as mutual funds or ETFs. Similar to bonds, exchange-traded notes (ETNs) are debt securities issued by an underwriting financial entity, such as a bank. This is where the "notes" part of their name comes from. ETNs are also similar to exchange-traded funds (ETFs) that track an underlying index. Put in simpler terms, an ETN is like a bond that trades like an ETF. However, ETNs don’t pay interest at a fixed rate like individual bond securities. Instead, investors get a return based on the performance of the ETN's benchmark index. There are only a handful of ETNs on the market for investors to buy but ETNs are growing in popularity. The most popular ETNs invest in the energy sector and in commodities, which can otherwise be difficult for everyday investors to access. As previously mentioned, ETNs can be a great tool for accessing areas of the market, such as MLPs, commodities, or precious metals, which are not easily accessible to everyday investors. However, since ETNs are notes (like bonds), they have an added layer of risk, which is that of the underwriting issuer. Therefore investors should be careful to invest only in ETNs that are issued by large banks with extremely low risk of default. Remember: The guarantee is only as good as the guarantor! Tax efficiency is another distinction of ETNs and it's an advantageous one. 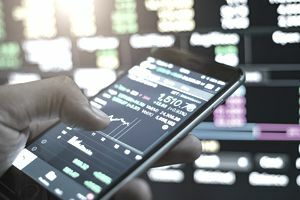 Since ETNs are taxed like a stock, investors can use them to avoid the tax complexities of the securities they may track, such as MLPs and commodities. The bottom line for investing in ETNs that investors need to understand is the added credit risk of holding them and to keep in mind that they are not the same as ETFs and they are certainly not mutual funds! Which Is Best for You? Index Funds or ETFs? When Is the Best Time to Invest In Index Funds? How Can Index Funds Reduce Taxes? What Exactly Are Index Funds and Why Are They Good Investments? Should You Invest in Broad Market Index Funds?